Ok, how cute is this? Found this at Goodwill last night. 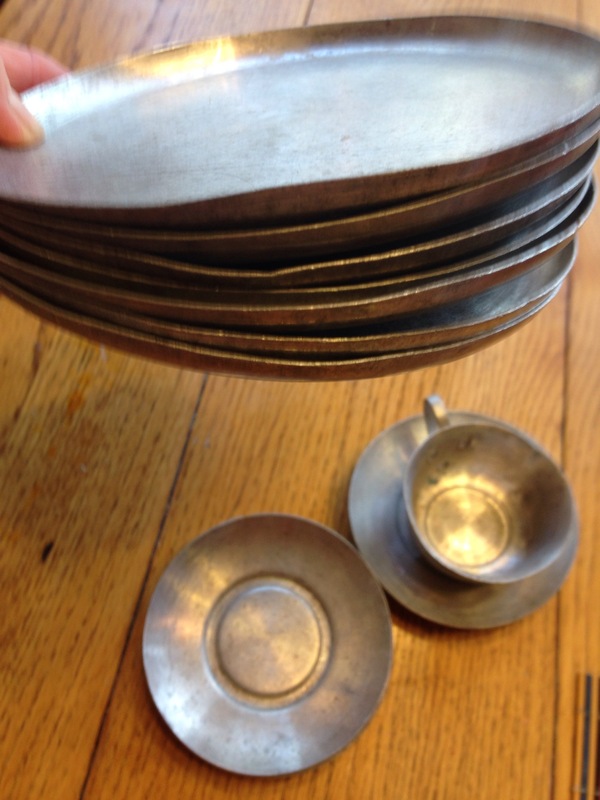 Seven tin plates, eight saucers, one cup. What to do, what to? I’ve got some ideas. Thinking walls for the larger plates (about five inches) diameter. 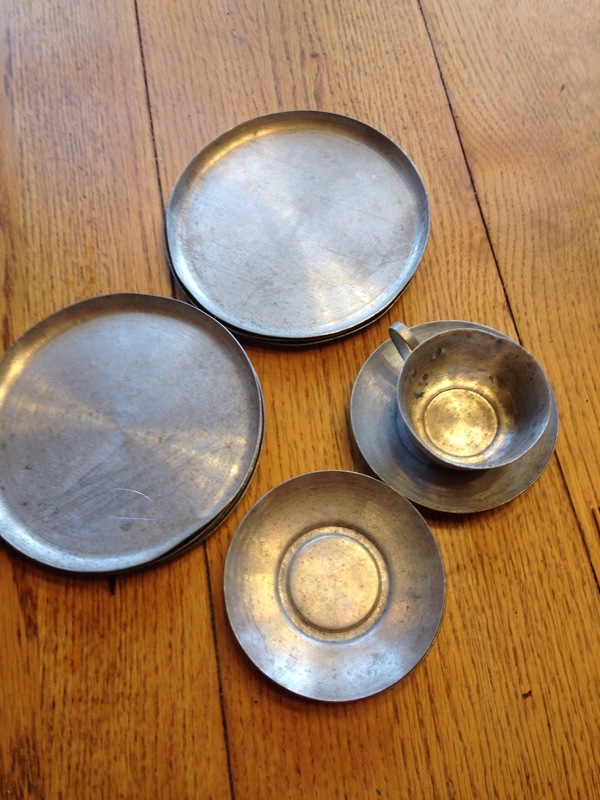 Maybe flattening saucers for possible mobile. 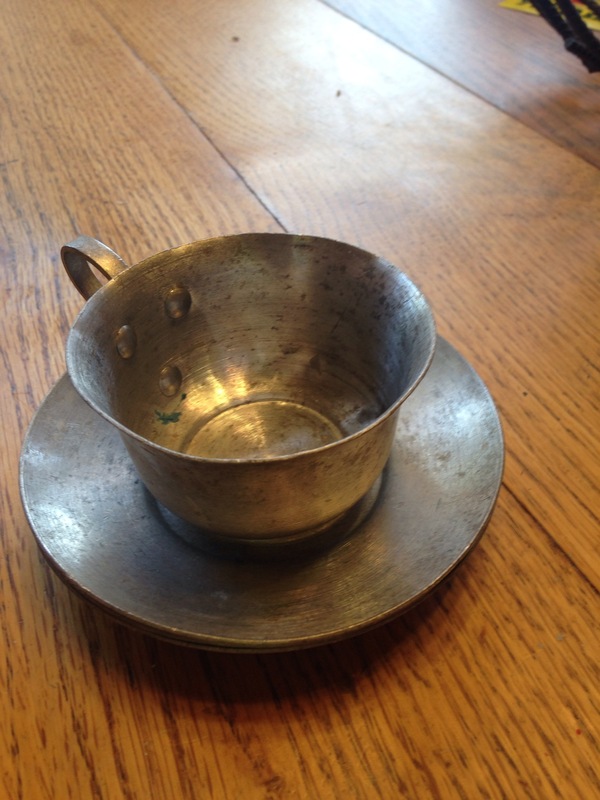 Cup and saucer just really cute for change, etc. Or maybe it will all go up to cabin as I have more old tin pieces up there. God bless and I hope you’re day is going well.